Image credit: Wikipedia and Konted's Make My Day 2. Most Filipinos will remember Douglas MacArthur from History lessons for the immortal vow “I shall return.” This sentence concluded a short statement he made to reporters before he was whisked away to Australia, leaving behind American and Filipino troops to face surrender to the Japanese in 1942. In October 1944, stepping off from a landing craft to wade in knee deep waters on a beach in Leyte, MacArthur fulfilled that promise. He arrived as Supreme Commander of the Southwest Pacific Area, with the full military might of the Allied Powers ready to send the Japanese back to whence they came. Military matters apart, however, the oft larger than life figure of the great general who brought Japan to its knees was, indeed, behind the scenes as human as you and I. So human, in fact, that he had a secret affair the sort which will be fodder even for sleazy tabloid gossip columnists of the present day. In October of the same year, the couple, along with Louise’s two children from her previous marriage, sailed to Manila where MacArthur was to assume command of the Military District of Manila. High profile the marriage might have been, it turned out not to be a happy one even if MacArthur was fond of Cromwell-Brooks’ children. In 1930, MacArthur met 16-year old Manila-born Isabel Rosario Cooper. Her father was Scottish while her mother was a Chinese-Filipina from a landed family in Negros Oriental. 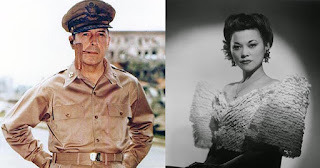 MacArthur was already 50 when he met Cooper, who would soon become his mistress. He kept the affair secret from his 80-year old mother, who would have been scandalised had she discovered it. In September of 1930, five months after they met, MacArthur had to return to the United States. Within a month he was sworn in as the Chief-of-Staff of the United States Army. MacArthur wanted Cooper with him in the United States but dared not risk the affair becoming public. Thus, he bought her a ticket on another ship due to arrive in America after he did. Initially, MacArthur housed Cooper in an apartment in Washington D.C; but later had her transferred to the Chastleton Hotel. In 1934, MacArthur was cast in a bad light by two journalists after the army, on his command, broke up the protest in Washington D.C. by World War I veterans and their families. He sued the journalists for defamation; but in retaliation, they threatened to call Cooper as one of their witnesses. 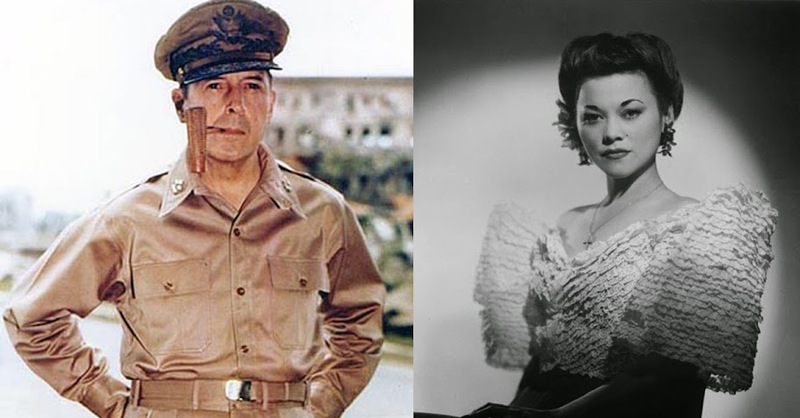 Wary of the affair being cast into the public’s eyes, MacArthur not only settled out of court but also ended the affair altogether. He was reported to have given her the amount of $15,000 – a hefty enough sum of money at the time – along with a ticket to return back to the Philippines. Instead of returning home, she used the money given by MacArthur to start a hairdressing salon in the American Midwest. Years later she would head out to Los Angeles to start another hairdressing shop and tried to get into Hollywood films. However, she had little success as an actress there as she did back home in the Philippines. She died in 1960 at the age of 46, apparently from an overdose of barbiturates.